The security situation in the Donbas is not improving. German Federal Chancellor Angela Merkel and French President Emmanuel Macron called on Russian and Ukrainian Presidents Vladimir Putin and Petro Poroshenko to fulfill their ceasefire commitments in the Donbas, according to their joint statement on the situation in eastern Ukraine, published on the website of the German government. "We demand President Putin and President Poroshenko to fully implement their obligations publicly, clearly promote and ensure a ceasefire, as well as to ensure the transfer of appropriate instructions to the military and local forces," reads the statement. It is also noted that since the last telephone conversations between the leaders of the "Normandy Four" countries, the security situation in eastern Ukraine has not significantly improved. “Numerous cases of violation of the armistice are observed, including those with the use of heavy weapons. The OSCE Monitoring Mission also reports threats to their personnel and restrictions on freedom of movement, especially in areas that not controlled by the government of Ukraine, the report says. 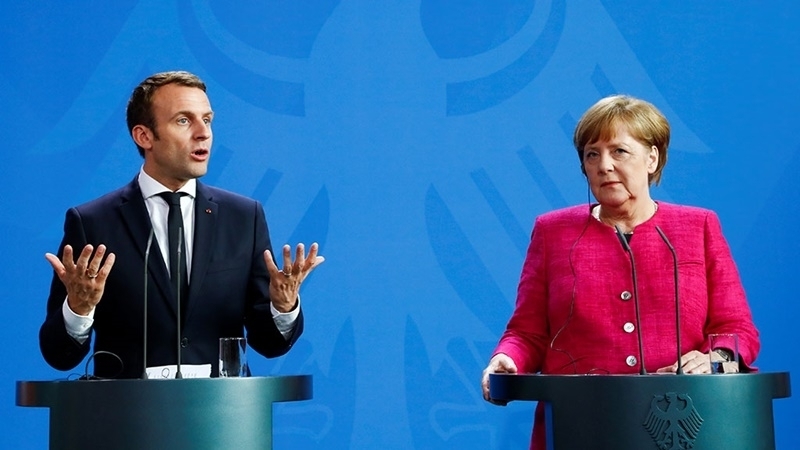 Merkel and Macron stated the need to improve cooperation within the JCCC for the cessation of hostilities and called upon all parties to provide safe and unhindered access to the OSCE mission.